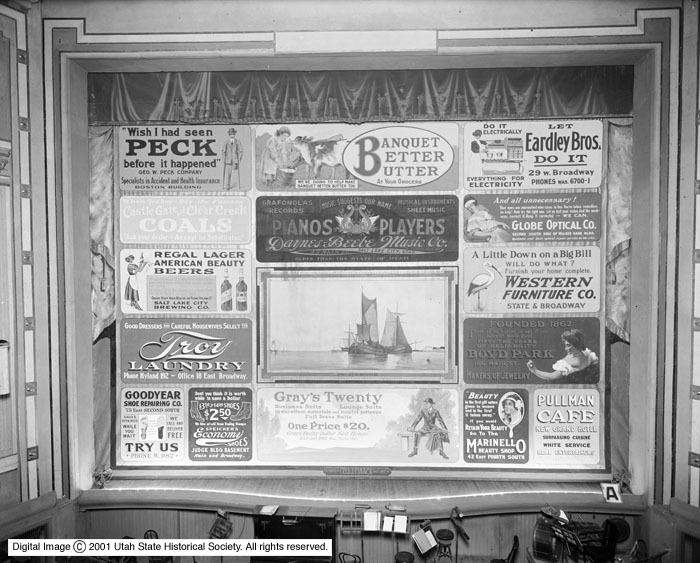 Description Image shows the curtain at the Pantages Theater with its various advertisements printed on it. Rights Management Digital Image (c) 2001 Utah State Historical Society. All Rights Reserved.